Baby tabby girl was born to an outdoor mom and was rescued along with her 4 litter mates and mother. all were fixed, vaccinated, dewormed and defleaed and microchipped. Baby needs to find a loving forever home and ideally together with ner sibling: Bailey. They are now 8 months old and healthy. 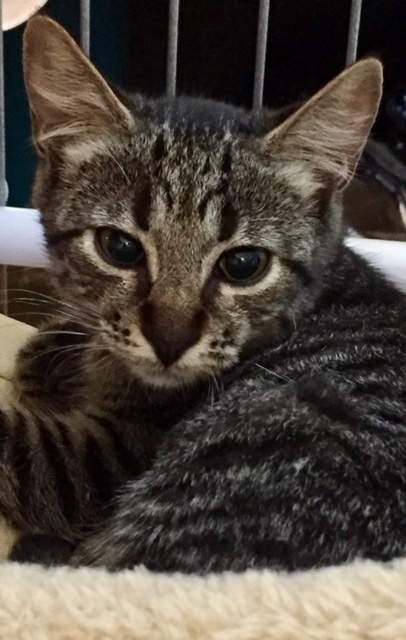 If you are interested in meeting the smaller of the litter Baby you can come Sundays to Chase Bank on Second Street in Belmont Shore 12-4pm, Long Beach. Please contact Antje at 562-212-7792 or email aljagd2018@gmail.com. A tax deductible adoption fee of $125 helps cover the initial medical costs.